Need to save time when building your parts? Well how about saving 90% on building new parts and 99% on rebuilding entire libraries! Easily reconstruct your entire PCB library with totally different rules in seconds! Our “High-Resolution” 10µm technology lets you maintain high accuracy and flexibility. MULTIPLE CAD FORMATSBuild consistent quality, eliminate redundant work, and avoid costs of migrating libraries – build it all in ONE tool regardless the format! Easily manage all library data, created by different people with different skills and tendencies, in a central location on your network. All have easy access to browse, search, and quality control the data files with the FREE Footprint Expert. Add new component package and logic data to your database in a snap! Sort data by any attribute field – predefined or custom-made! Or just leave the data organized in one of dozens of component families. Quickly become an expert at PCB libraries. Regardless your skill level, with PCB Libraries backing you up, you create high-quality PCB libraries that look like were created by professionals with decades of experience. Well, in a sense – they were! Regardless your management requirements, you can easily establish and adjust constraints on rules and preferences so everybody builds consistent quality parts that look like were created by a single professional designer. 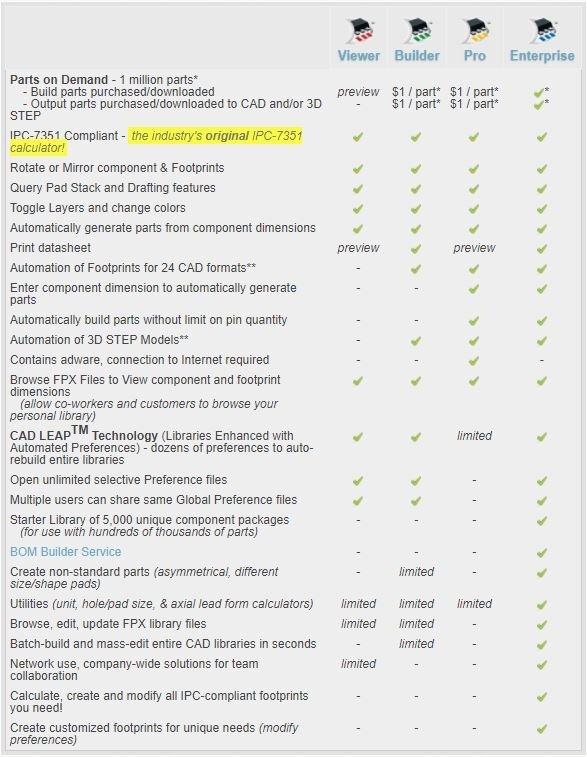 The PCB Footprint Expert interfaces with popular CAD tools. Need your libraries in a different CAD format? Open the “master” library in the Footprint Expert and export! If you dare, the Footprint Expert promises to help you maximize both. That’s right – you don’t have to increase one at the cost of the other. A solution that pays for itself, often after 2 or 3 projects! PCB Footprint Expert creates PCB library parts in a fraction of the time compared with manual editing. There are many elements that go into the creation of a high quality library part and the PCB Footprint Expert auto-calculates and generates everything down to the finest details. By creating high quality designs the first time, you reduce the work and costs associated with design re-spins. 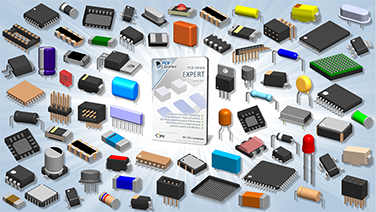 The Library Expert Enterprise, includes the full range of functions for professional PCB designer, CAD librarian or engineer who is responsible for the construction, maintenance and further development of the corporate library. This includes the documentation that company-specific user settings and compliance with the IPC basics. The creation of standard and non-standard footprints, including the possibility of access to the Internet portal with the "Parts on Demand" (POD) - footprint library with more than 1,000,460 footprints. You can choose between the IPC-7351B and the new IPC-7351C configuration file. This is a limited version for professional PCB designers and hobbyists. The footprints are calculated in the usual quality directly after the IPC 7351C standard and are also provided according to the 24 CAD output. Please note: the Lite version has limitations due to their not: a library management, non-standard footprints, user preferences or access to the "Parts on Demand" (POD) library. All CAD outputs available will be available for testing for your own target system to try out. Note: There are two different test versions of the Library Expert software. This free Viewer is particularly intended for colleagues or external staff to complement the Library Expert Enterprise users. Thus, for example, the existing footprint libraries can watch. The library can be searched for footprints, property features, or simply by data sheets. The company-specific user preferences and the switching between the IPC-7351B and the new IPC-7351C configuration files are also available. This single-user version of the library Expert family is a freely available full version with mild to use way. All existing components of the POD database are free for customers of the Enterprise version, whereas users of POD Builder version will have to pay a fee for each existing component. New components can, as with the Enterprise version, are added at the PCB in order, but are in the see. associated with higher extra costs. * Library Expert Professional users with currently released version have free access (25 parts/day) to the POD database. For others, POD parts cost $1 or $2 each, depending on complexity. Most new part requests are $5 for Enterprise customers and $7 otherwise. Prices subject to change without notice. ** All Library Expert Professional outputs (CAD formats and 3D STEP) are licensed separately. The PCB Library Expert creates the landing areas from the information from the component data sheets based on your specific user settings to meet the respective granted IPC standard. All footprints are created independently of the respective CAD output and managed with the integrated powerful library. The Library Expert LIBRARIAN has no independent CAD output. In addition, it can also be used for CAD systems that do not have functions own to calculate the required footprint dimensions. For the department with different CAD systems each have a Library Expert Enterprise with the corresponding CAD output is required. The Library Expert created with the optional CAD output " 3D STEP automatically 3D models". In conjunction with the Library Expert Enterprise and 3D STEP, you can create landing surfaces and 3D models at the same time with a single click. The 3D STEP model links the zero point with the rotation of the FPX footprints. Define different colors for various component parts (body, connecting wires, LED, etc.). 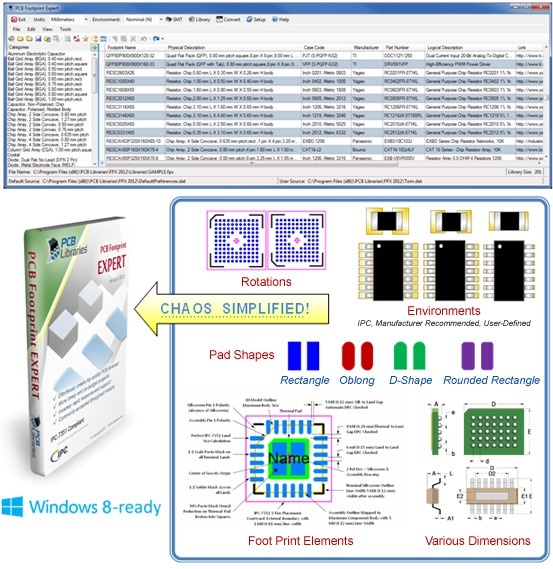 There are 50+ "Surface Mount" - and "Through Hole" -component family supported (created by the footprint designer non-standard footprints are displayed as 3D envelope). Beta version is planned for March 2018, and will share FPX data files with Library Expert. In preparation, the master FPX file format was updated. Version 2017 FPX format files will auto-update on Save FPX, so if you have earlier FPX file versions, you will need to step them through version 2017 first. POD Credits can be purchased via PayPal or credit card via the registered PCB account. These credits are credited to the desired USB key, do not run out, are not transferable and can not be replaced or returned. PCB Library has a POD (Parts on Demand) Database with over 1 Million + components. All existing parts are for PCBL Enterprise version FREE available (download limited to a maximum of 25 parts / day. But all new components will have a cost and can be purchased via POD credits. 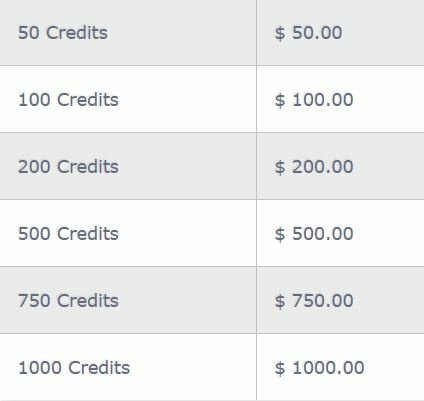 You may purchase all the Credits you want, as they will never expire. Library Expert Enterprise customers with the latest Library Expert version. We provide parts in FPX format to take full advantage of our cutting-edge CAD LEAPTMTechnology (Libraries Enhanced with Automated Preferences). Note: Prices for this service are subject to change - all published prices are applicable and guaranteed only for BOMs in queue, or as otherwise individually quoted by Sales. Changes to prices will be applicable only to new BOMs which are not in queue at time of change. Want to try out the new FREE "Library Expert Professional Version" Want more information "LIB ExpertPro 4 FREE"